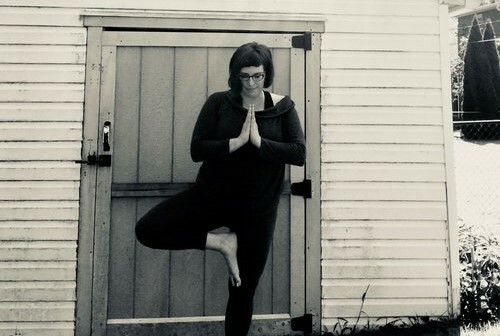 Join Sue at our brand new art and yoga studio for Frederick, Give Rise Studio, to experience deep stillness, tend to our joints/bones/fascia and give our muscles a much needed rest. Give Rise Studio is located at 129 E Patrick St, Suite 24 (entrance in rear up white staircase in back parking log – use street parking). Part of proceeds donated to Children of Incarcerated Parents Partnership of Frederick County. Yin Yoga is generally a passive form of yoga done sitting or laying down in specific, modifiable shapes. You get down on the mat and get up and the end. We disengage our muscles and hold the shapes with the support of our bodies or props- creating a stirring of fluid to the joints, releasing the fascia tissues in the body and bringing strength to our joints – just to name a few physical benefits. These shapes are held for a few minutes at a time without the muscles engaged. If you are used to the more active styles of yoga you may find Yin to be a wonderful compliment to your active (yang) yoga practice, great first time yoga class or to improve mobility. Limited to 6 (flexible) – No mats or props needed. No previous yoga experienced required. Visit www.giverisestudio.com to book your class.